It’s been a great few days recently. I’ve managed to get a reasonable amount of work done and there’s been much happening here in Speyer. I’ve been working on one of the larger boards for the last few days and am starting to put the piece together. Once again, it’s based on a section of the cathedral wall…..quite a large section perhaps twenty metres high, but it does show some scale as it contains several windows. This particular wall caught my attention as lower down it also has two semi circular recesses that make it look a little like a face ….well, it makes me smile whenever I walk by it! 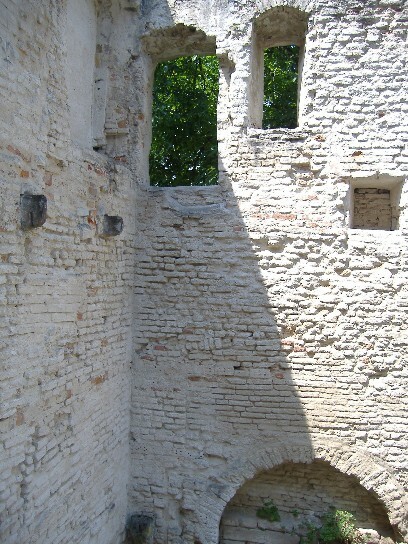 Anyway, the original plan was simply to use this as the basis for the painting but then while I was looking at some photographs I’d taken of very small sections of the wall (just a few large stones) I noticed that one of these had a very similar structure to the larger section. I’ve decided therefore to try and superimpose the close up over the larger section ….once again messing around with ones perception of scale, creating a more abstract picture of the wall. 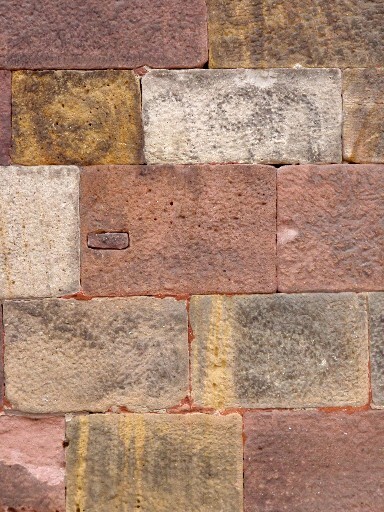 The stones contain a whole range of subtle colours; pale yellows, ochre, terracotta, pale greys and umber. The painting is built up using the paint in flat brush strokes to mimic the stone work from a distance, and the pastel scribbled down to try and capture the structure of each of the stones close up……each layer of paint showing a little of the previous one beneath. It’s quite a slow process but one that I can enjoy while working outside in the courtyard here. It’s been very hot this last week again and the studios are really too hot to work in during the day. Outside, the far end of the courtyard has a large canopy that allows light through but creates a shaded area through out the day. It’s the perfect spot to put my easel as the light on the painting is bright but constant. 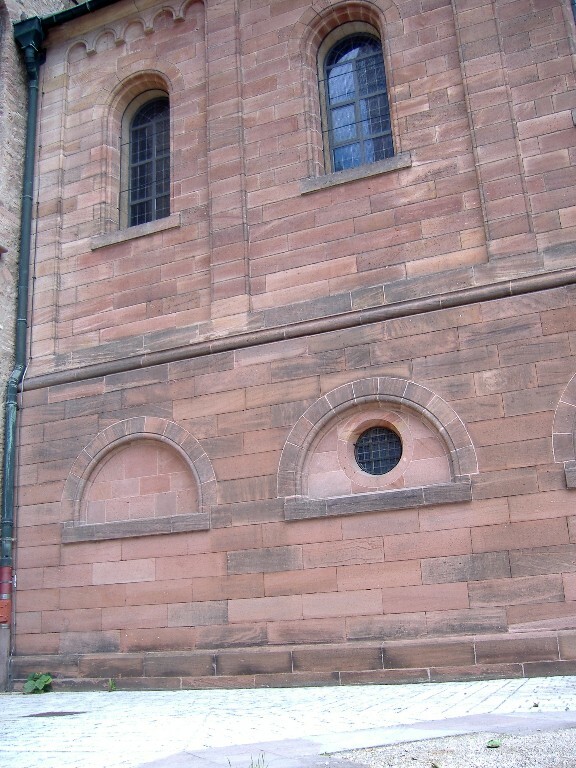 I really seem to have got into these fantastic walls here in Speyer …and not just the cathedral and the old baths. The other week a friend took me to see one of the other beautiful churches here in Speyer …this was the Trinity Church I think …close to the cathedral but built out of wood. It’s a magnificent building, and with clear glass in its windows there was enough light for me to see much of the interior. On leaving we were able to get a look into the ruins of another building at the side of the church. It was great, especially in the bright early afternoon light and with the intensely blue sky…..another painting? Probably.